The Pounds have started to Melt away! Weighing in with/at more than 20 essential vitamins and minerals, plus Arbonne's exclusive INNER G-PLEX blend, one taste of Go Easy! Protein Shake and you'll see why weight loss never tasted so good! I love these products. I have been taking them for a couple months now. Since I started taking Optimal Digest my gas provlems have reduced. I became a consultant so I could get the products 35% off. Plus you can get the products on autoship which gets you another 20% off. I like having the products arrive monthly, so I don't have to worry about running out. The Arbonne protein mix is AWESOME and has 19grams of protein per drink. Huge way to get your protein and I take their childrens chewable vitamins and I love them as well. I currently use their supplements: Figure 8, Ultimate Digest, Calcium Plus, Women's Essentials, Leg Vein Therapy, Defense Builder, PMS Support, and Resist Omega3 Fatty Acid Supplements. Having them on autoship, I save 20% plus the 35% I save as a consultant. My endocrinologist saw a HUGE drop in my A1C blood sugar levels from 11 to 5.6 in over a year, from taking these nutrients. I have used and now, trusted Arbonne products since June 2002 for my nutritional needs. I know that their products are made without any animal by-products, certified vegan and/or organic botancially based. All other supplements I have used over the last two years have done well and performed efficiently. Their vitamins are so reasonable..also have Calcium and other nutritional supplements. My doctor thinks they are PERFECT for WLS patients. Also you can choose chewable, teen, women, menopausal women and men. THey have all those different formulas that are designed for our stage in life. 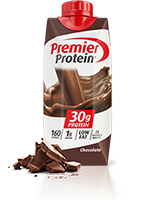 Also protein supplement are yummy and packed with healthy ingredients. They have vanilla.chocolate and they are $22 for a case. I didn't like any vitamins until I tried these.